The Halloween spirit is in full swing, and this week and next are the hottest shopping times for costumes and products (decorations, special effects and supplies), and it will continue through the end of the month. To scare up more earnings this Halloween, here are some treats you can share with your visitors – no tricks necessary! eBay is known to be the perfect place to find unusual and unique items -- the kind of goods coveted most by Halloween shoppers -- so take this opportunity to conjure up bonus earnings on not just new customers, but also reactivated ones. By giving your visitors good reason to dust the cobwebs off accounts that have been dormant since last October (or longer), you’ll earn double commissions on sales from these visitors. With long lines and limited options, brick-and-mortar Halloween stores are no match for the vast and varied costume options available on eBay. Use our Costume Closet to search for disguises to share with your audience by gender, age, size, themes and trends, price, and even for pets. And keep in mind that some costumes, depending on the seller, are considered “fashion,” which is a high earning commissions category (70%!). A great angle affiliate marketers can take is to supply DIY devotees with ideas for easy costumes that can be made on a budget. eBay has all the accessories necessary to complete Halloween looks, from wigs and masks to wands, plastic swords, makeup and more. 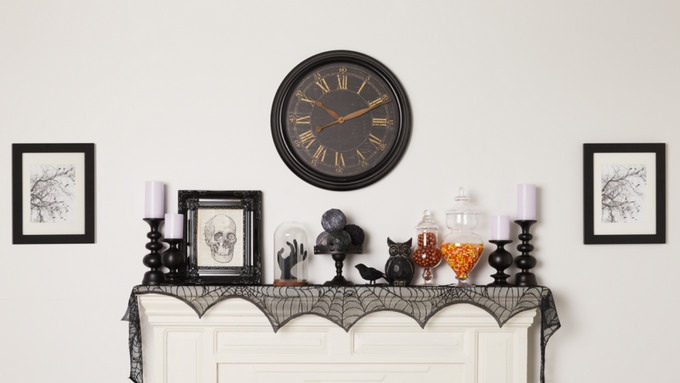 The rabid fan base for Halloween has grown over time, with holiday lovers filling their homes with everything from ghoulish figurines and yard décor to decals and tabletop and window décor. So don’t be afraid to hop on promoting Halloween during the holiday home stretch. Seasonal events are a great way to scare up higher earnings while also treating your visitors to valuable content. Here’s to bootiful and bountiful Halloween promoting!